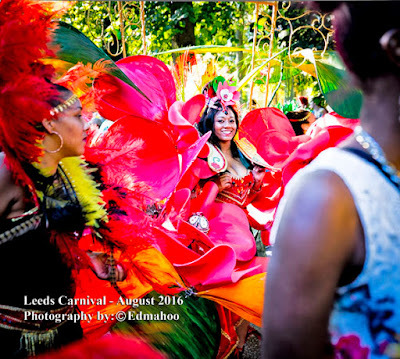 in Leeds, West Yorkshire UK today, as it was Leeds Carnival 2016. 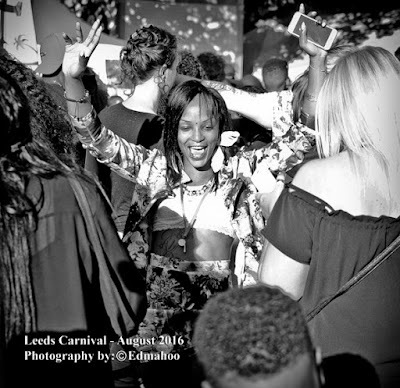 [Edmahoo is an Independent film maker born and bred in Leeds. and directing his own Indie Film 'Jet Slade: Rise of the Black Hood']. 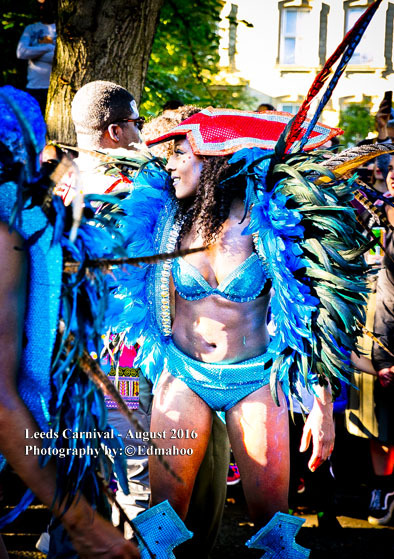 of this spectacular event in his home town of Leeds. 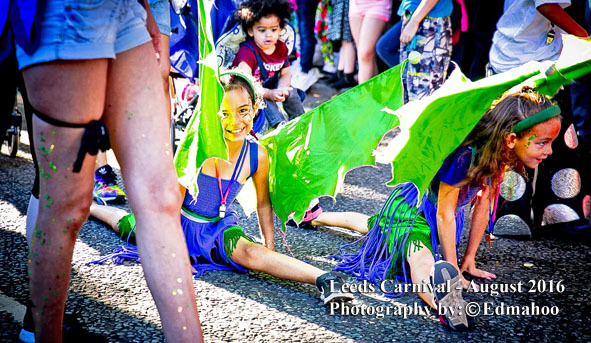 carnival procession as it entered Harehills Avenue. 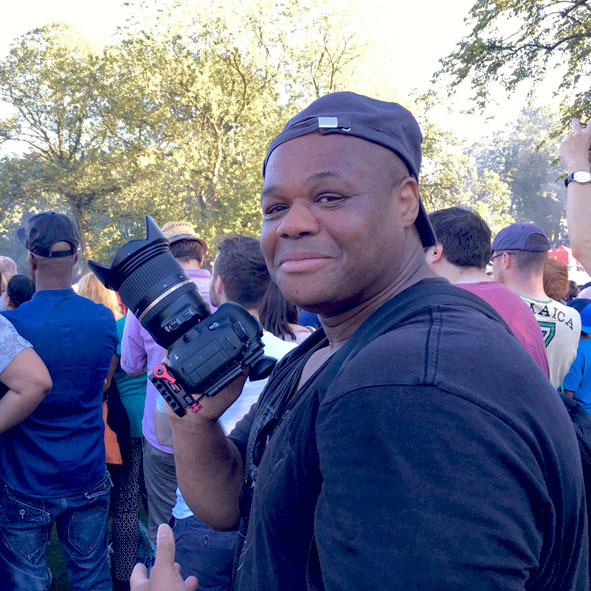 It was an amazing sight to see. 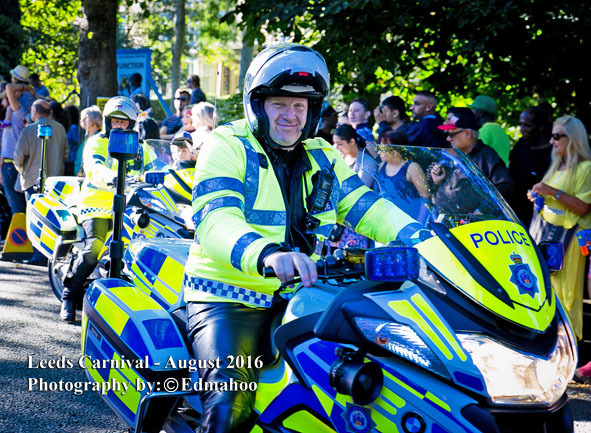 Even the Police had big smiles on their faces, they were enjoying it just as much. 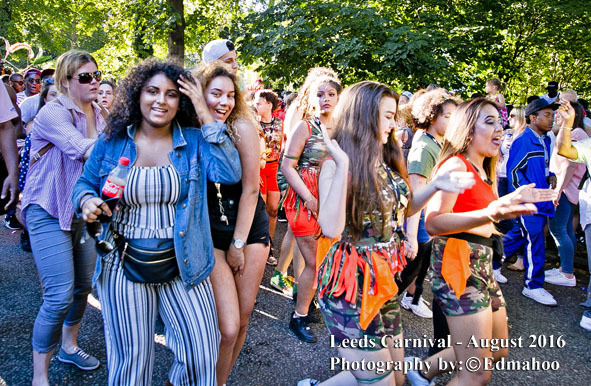 all over together. 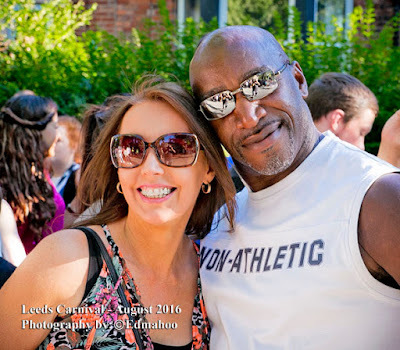 It was a very special moment indeed. 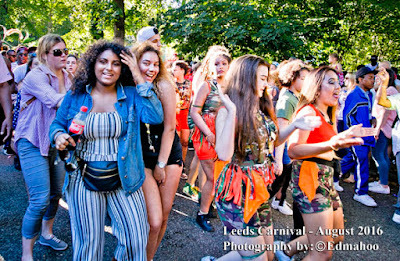 how much the people wearing them were enjoying themselves. 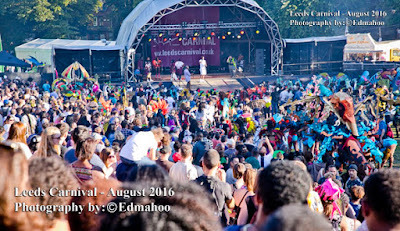 bands and DJ's as they were performing on the wagons. The locals were really enjoying themselves. 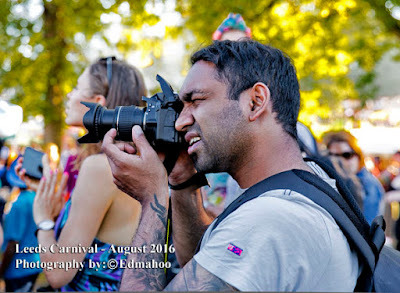 a Carnival will really test your photographic skills. 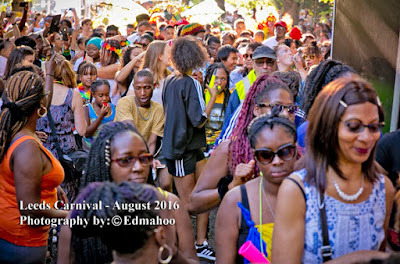 the atmosphere and music was thrilling. 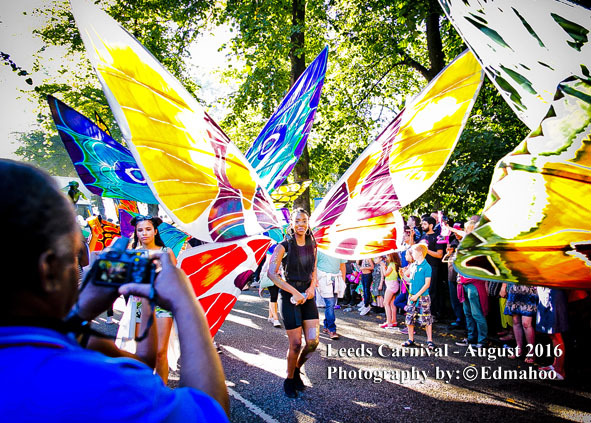 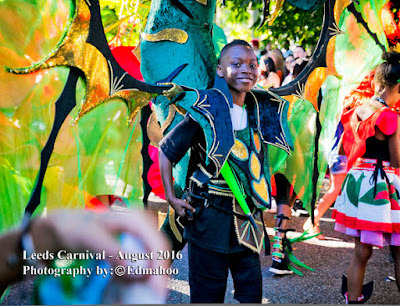 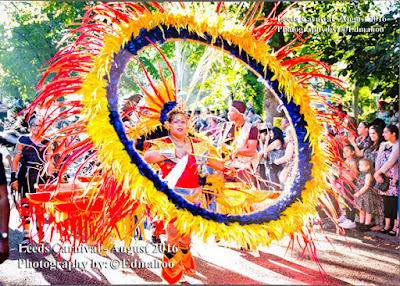 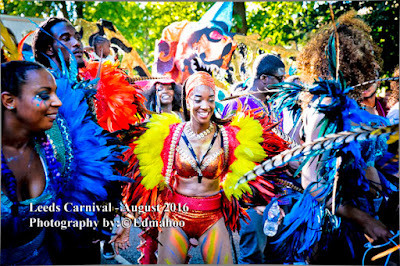 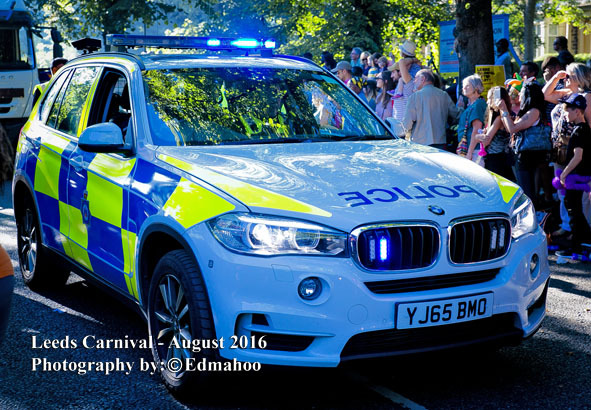 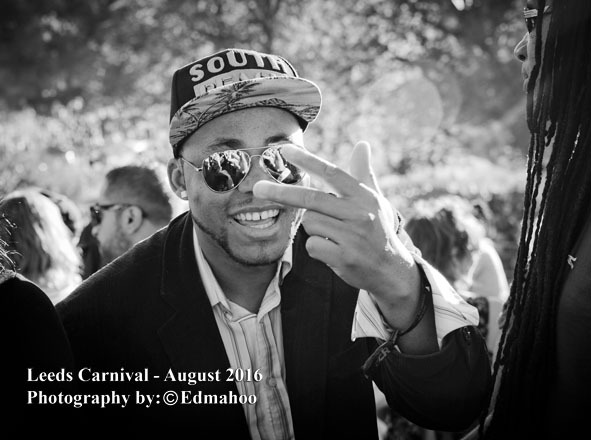 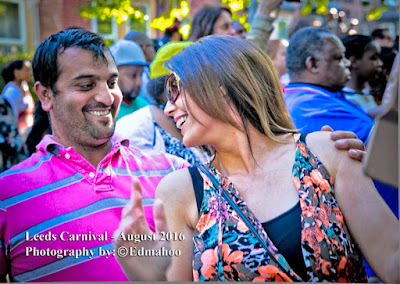 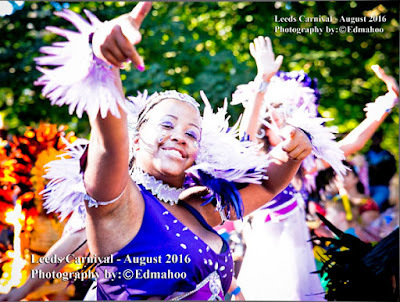 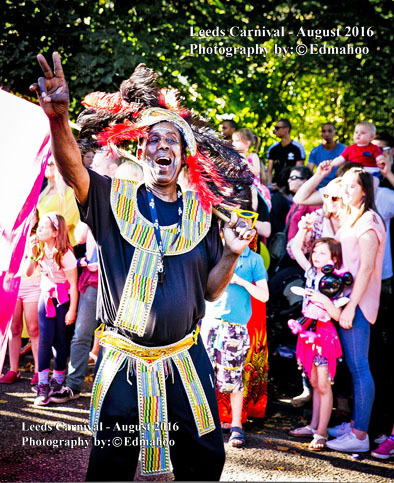 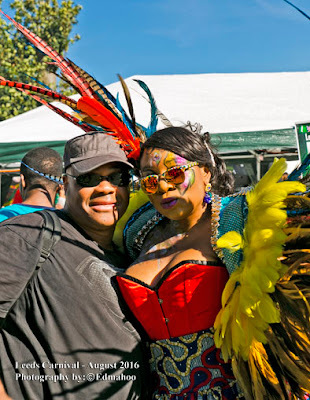 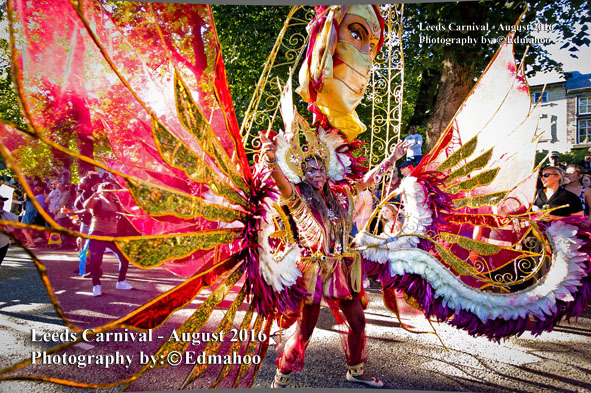 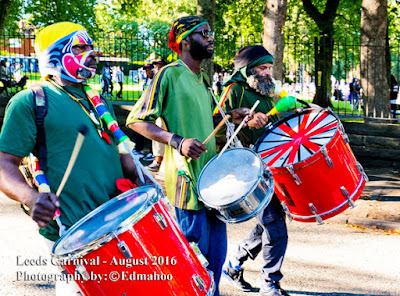 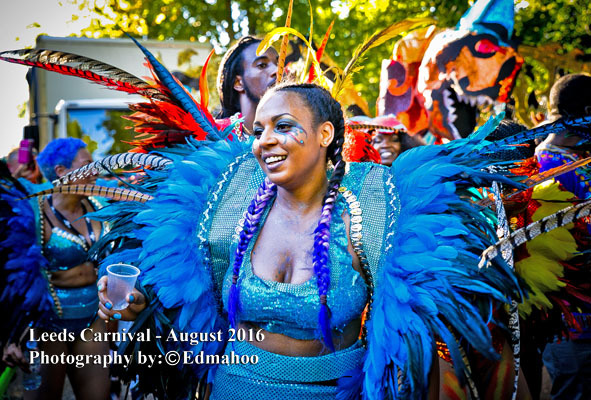 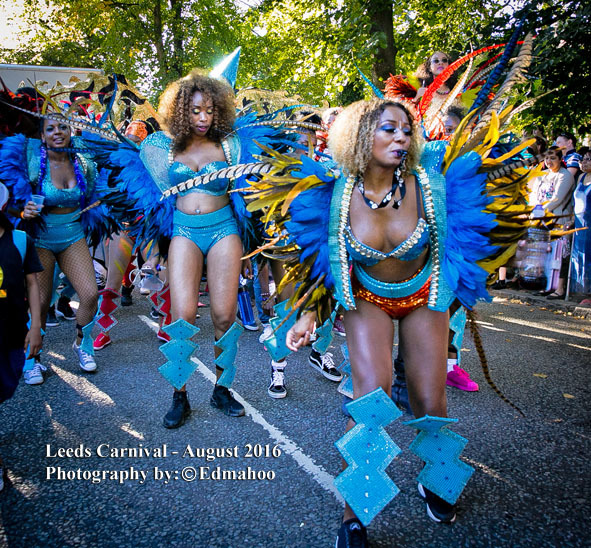 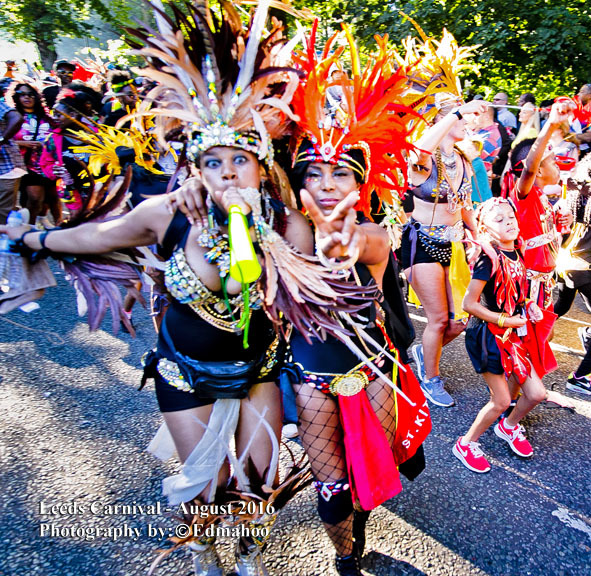 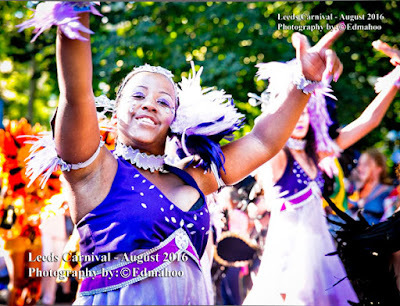 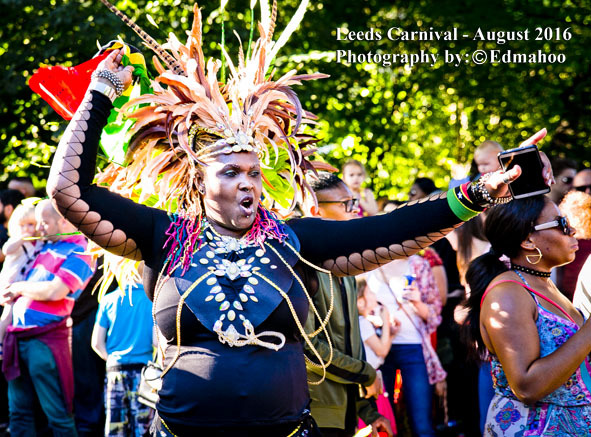 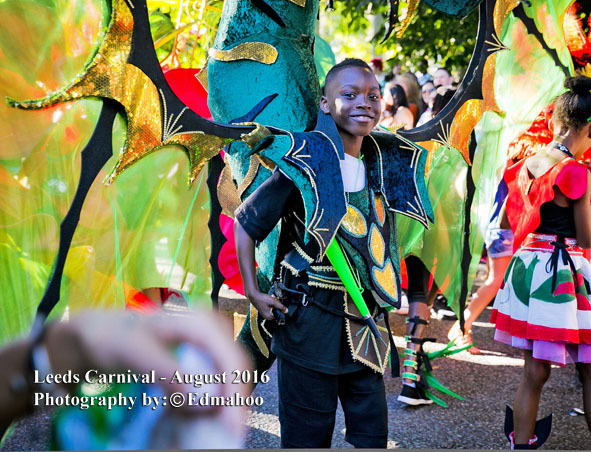 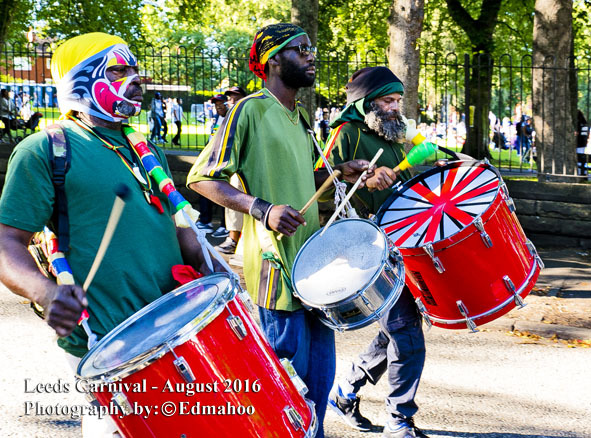 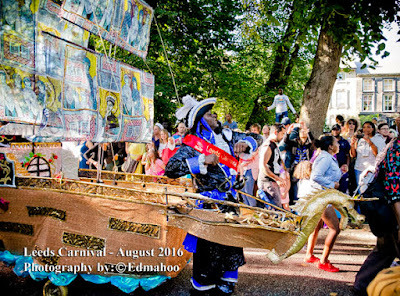 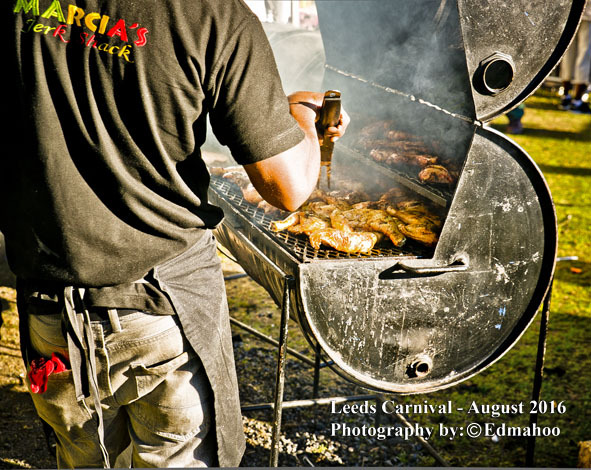 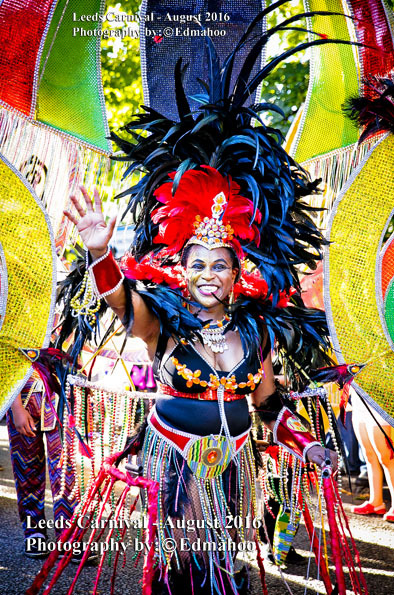 We definitely recommend Leeds Carnival for 2017.
these fabulous images by Edmahoo. NOTE: These photos and images are the sole property of Edmahoo where mentioned!